Websites designed to your specification with content management systems to allow easy access to you. Dominant IT designs websites in Las Vegas with the intention of bettering your business. 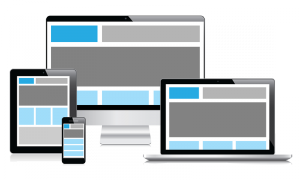 Our design solution allows for quick, well-developed websites that reach high ranking on search engines. Dominant IT will design, host, and maintain your website to allow for a headache-free experience. This one stop shop allows for fast development, no conflicts with web hosts system configuration, and a web designer who already knows your code. Please view some of our work on our Portfolio page.